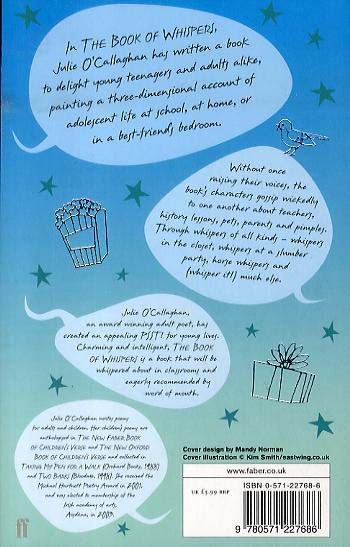 In The Book of Whispers, Julie O'Callaghan has written a book to delight young teenagers and adults alike. 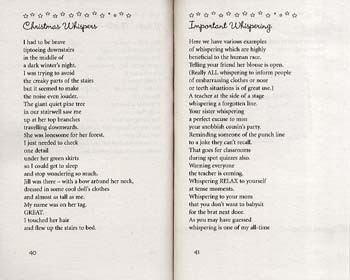 Told through the whispering voice of a witty, likeable, mischievous young girl, the poems paint a three dimensional account of adolescent life at school, at home, or in a best-friend's bedroom. Without once raising their voice, the book's characters and stories gossip wickedly to one another about teachers, history lessons, pets, parents and pimples. 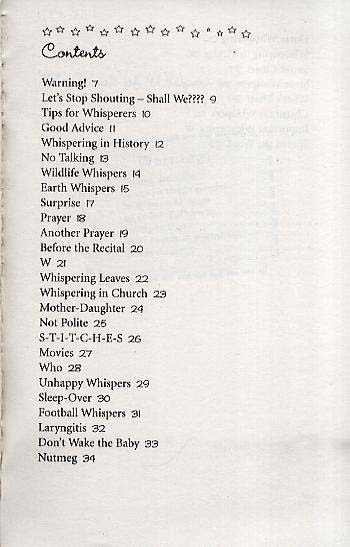 Whispers in the closet, whispers at a slumber party, horse whispers, whispers from losing voice: Julie O'Callaghan - an award winning adult poet - has created an appealing PSST! for young lives. 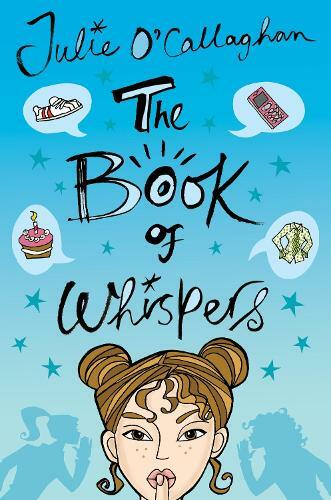 Charming and intelligent, The Book of Whispers is a book for every classroom and playground.